At Wacktrap, you have the freedom to communicate. Free and easy. Any time you see another Wacktrap member’s username in a wack, wack Rating, Comment or Forum post, you’ll be able to contact the member directly and privately. You've only gotta be logged in to be usin' Wacktrap Messaging. We'll do the rest of the work for you. If you're messaging a member frequently, you just may want to make 'em a Connection at your fingertips. And if your personal connections aren't yet your Wacktrap Connections, send 'em an invite now. Just how fast is Wacktrap Messaging? Slower than regular email, right? Nope. In fact we have a feelin' you'll like it even better. It's your direct line to Wacktrap members, and to your Connections. 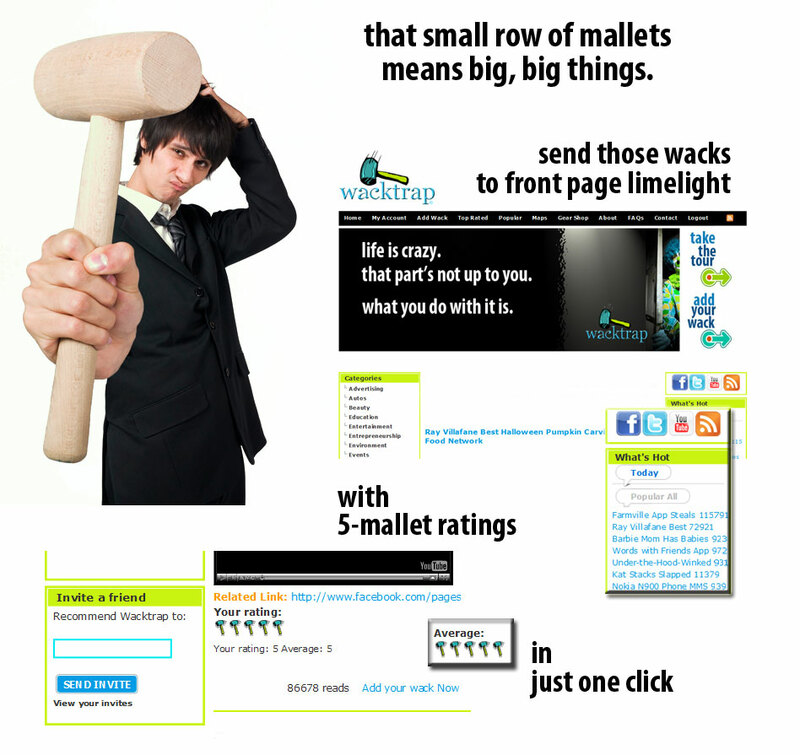 You'll be gettin' and sendin' fast messages-without ever leavin' the Wacktrap site. No need to flip back and forth or check your regular email account. Quick and easy, it's all happenin' right here. Message any member on the Wacktrap site. Make sure you're logged in to click on the username link found in any member's wack. We'll take ya straight to their Wacktrap profile, to give you a bit better idea of who they are-including likes, links and the Lowdown. Below their avatar and Wack Stats total, click on the icon of a single person to send a private message, pronto. We value your privacy, and the privacy of every Wacktrap member. When you message any Wacktrap member, email addresses and personally identifying information remain undisclosed.